Once upon a time, football scouting meant slightly rotund, grey-haired men in oversized padded jackets, standing on the touchline of sodden park pitches up and down the land. And, while the romance of unearthing the next Messi or Ronaldo at an under-10s game on London’s Hackney Marshes or equivalent Sunday morning games around the world should never be completely put to bed, the truth is that football, and indeed the technology behind it, has come a long, long way in the last 20 years. In today’s ultra-competitive game, underpinned by Sky TV’s billions, the race to sign the Next Big Thing or simply recruit better players to become more competitive, means clubs have cast their recruitment nets far and wide. 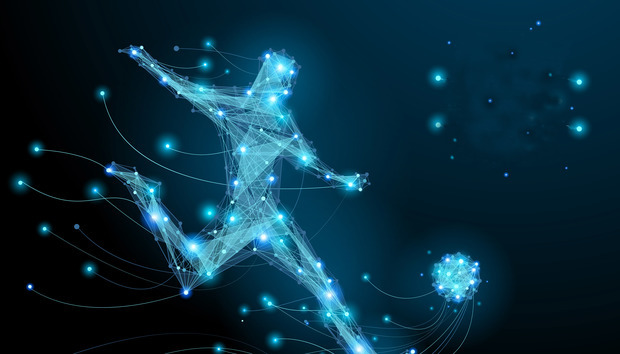 In turn, that means turning to Big Data and analytics, such as Scout7 – a cloud-based football database used by more than 150 clubs across 30 leagues worldwide. Rather than replacing the traditional scouting system, Scout7 enhances it, helping clubs identify and evaluate potential new signings by tracking a player’s performance, their match stats and by watching videos of them in action. Sounds simple enough? Well, not if, in a fictional world, you’re Swansea City, trying to compete with Manchester City’s billions, and you have been tipped off about a striker in Kazakhstan’s national league. Beyond neatly edited show reels of the player, often sent by agents, and grainy TV highlights, how could Swansea be sure that the player fits the bill? You may recall the infamous case of Ali Dia, who managed to convince then-Southampton manager Graeme Souness that he was the cousin of FIFA World Player of the Year and Ballon d'Or winner George Weah. In reality, Dia was more George next door than Weah, but that didn’t stop Souness or Southampton taking the bait and signing him without seeing him kick a ball. Systems, such as Scout7 reduce that level of risk. 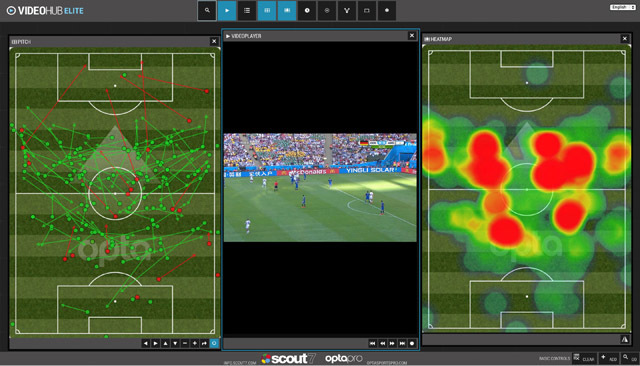 Scout7 stores over 100,000 full game video recordings and adds around 4,000 new matches each month. Between 1,600 and 2,000 individual actions (including shots on target, completed passes, tackles and goals) are captured from every game. 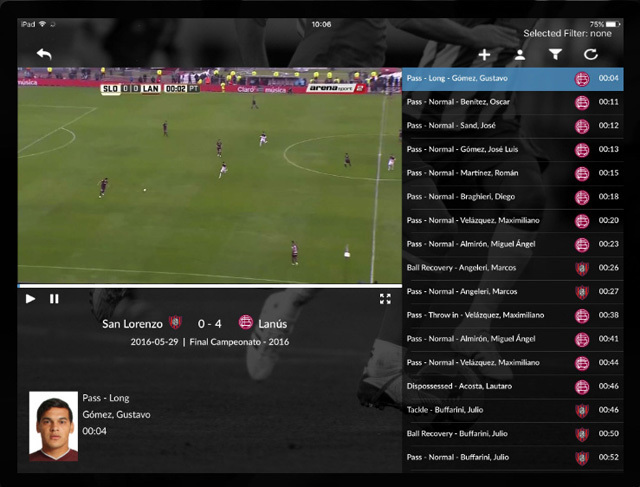 Scout7 partners with Intel, using its technology to deliver the computing power and video transcoding speed that clubs need to mine and analyse more than three million minutes of footage per year, as well as storing over 400,000 active player records. The system uses Intel Xeon E3-based servers and Intel Quick Sync Video to transcode the new footage, enabling it to process match recordings in 30 to 45 minutes and to create a framework for mining insights from clubs’ growing datasets. Within two hours, it can have the video ready for analysis by integrating match event data provided by the third-party event-data specialists. Scouts and analysts at a club can then access the platform through any web browser to analyse this data and extract the specific information they need. Footage can be stored as full games or made into playlists that have been edited by analysts in-house. This enables scouts to review a player’s key match events which can be filtered using key criteria such as completed passes or assists. By running data analytics supported by powerful graphic capabilities delivered by the Intel Xeon E3-1285 v3 silicon, Scout7 provides a fast, sophisticated system that clubs can use to enhance its scouting and analysis operations. So, how effective is it? Well, current Premier League champions Leicester City used Scout7 to uncover arguably one of the best signings of the last 25 years. The club snapped up winger Riyad Mahrez for a bargain basement £400,000 from French club Le Havre in 2014. Mahrez scored 17 goals, produced 11 assists and was voted the English PFA Players’ Player of the Year. Reports suggest that his estimated transfer value is currently upwards of £25 million. Not a bad return. With the cost of failure, especially at elite level, so high, it’s little wonder that Scout7 has been adopted by Premier League, Bundesliga, La Liga, Serie A and Ligue 1 clubs, including Chelsea, Borussia Dortmund, Juventus and Villarreal. For other clubs with smaller budgets, tools such as Scout7 provide scale and reduce the need for gut feeling and the subjectivity often aligned with scouting decisions. A manager can view footage and insights from a smartphone while on the move and make a personal assessment rather than relying on opinion. It’s Big Data at its most valuable. “Our customers are embracing this transition to data-driven business decision-making, breaking away from blind faith on the hunches of individuals and pulling insights from the raft of new information sources, including video, to extract value and insights from Big Data,” explains Lee Jamison, managing director and founder, Scout7. Of course the old romantic would always argue you can’t beat old school scouting, and it still has its place. In future, however, it may be accompanied by an overhead video drone streaming live footage from your local park back to Real Madrid’s HQ where a team of data analysts are combing the globe for the next CR7. Could a computer have discovered Arsenal legend Ian Wright? Stephen Dunne has been embedded into the enterprise technology sector for the last decade. As a writer, he is interested in the impact of emerging technologies on society and anything remotely sports-tech related. North Yorkshire born and bred, with an accent to prove it.